Pinoy Marvel geeks, stand with pride! The comics franchise revealed that a new Filipino heroine is coming to their panels this May, suiting up to join the Asian superhero team Agents of Atlas. Written by Greg Pak with art by Gang-Hyuk Lim and a cover by Billy Tan, War of the Realms: New Agents of Atlas will debut the new members for the four-issue War of the Realms tie-in series this May. 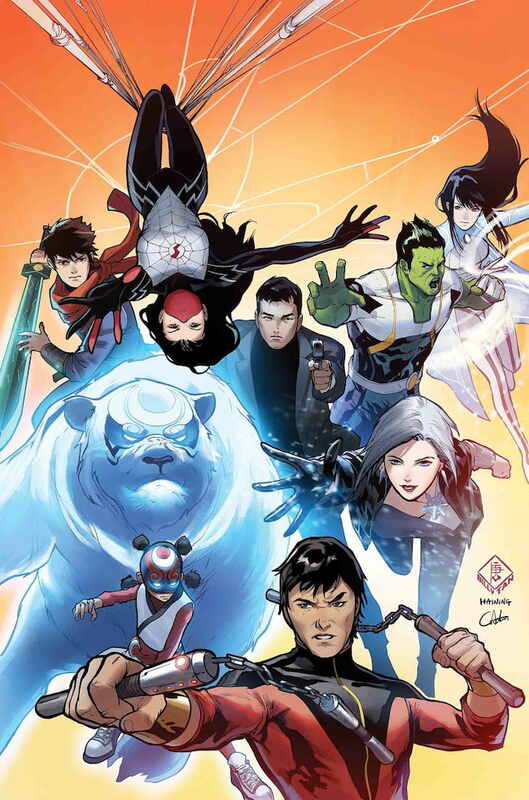 The Filipina hero will be named Wave, and will fight alongside new recruits from China Aero and Sword Master as well as the original members of the team, leader Amadeus Cho, Shang-Chi, Silk, and Jimmy Woo. Not much has been revealed about Wave, except that she is a "mysterious new Filipino heroine" but the news is enough to hype up the geek in Filipino Marvel fans. It was back in 2008 when a superhero team from Manila named the Triumph Division had also been featured in Invincible Iron Man Vol. 2. For more updates on Wave and their upcoming comic series, visit the Marvel website. Homestream image taken from the Marvel website.